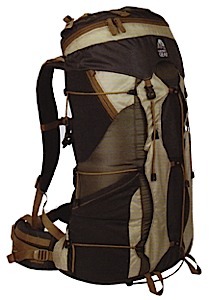 A completely new concept in backpack design. 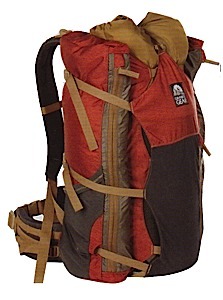 This pack started out with our quest to develop a pack that would carry a bear canister securely. It does a nice job of this but in testing this piece we've found it's a sweet and versatile system for lots of different loads. There are two full length lateral pockets that cinch around whatever you place in the CORE or center section of the pack, then a compression flap can be cinched down tight holding everything securely in place. 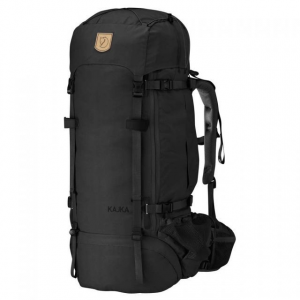 We've found this center CORE section also works great for many other items that are hard to fit inside a conventional pack- tripods, fly rods, wet tents, as well as compressed items like sleeping bags. 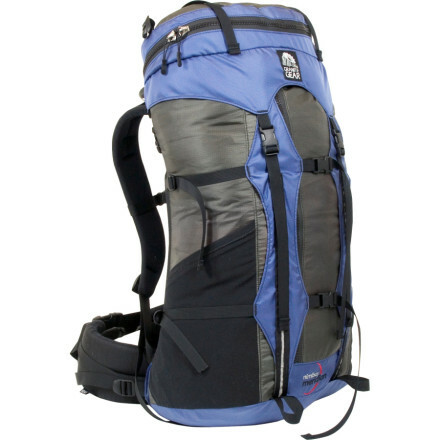 Visit Granite Gear's Nimbus Core page. CLOSEOUTS . 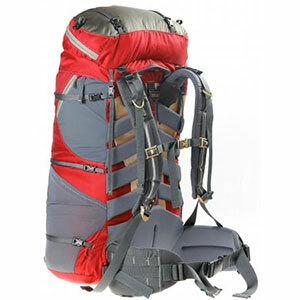 With a large open interior thatand#39;s designed to carry a bear canister or awkward shaped gear, Granite Gearand#39;s Nimbus Core backpack is great for multi-day adventures and specialty uses. Available Colors: BURNT BRICK/MOONMIST. There are two full length lateral pockets that cinch around whatever you place in the CORE or center section of the pack, then a compression flap can be cinched down tight holding everything securely in place. Granite Gear has found this center CORE section also works great for many other items that are hard to fit inside a conventional pack tripods, fly rods, wet tents, as well as compressed items like sleeping bags.When it comes to load transfer, ergonomics and airflow not all suspension systems are created equal! Most of Granite Gear's competition still use low cost HDPE plastic and an aluminum stay or two. Granite Gear's reengineered 3D TopoFlex frame is engineered to fit the topography of your back and mimic the way a back naturally flexes. The single pivot point attachment system on our shoulder strap and belt allow for a more precise fit and better freedom of movement while continuously supporting the load and directing it to your hips or shoulders and allowing some of the load to be carried throughout the back. Because of this system the load can be shifted to be carried by different muscle and skeletal groups. Granite Gear new Advection back panel allows for the air to flow over the back moving heat out while still maintaining significant contact and following the natural topography of the human back thus complimenting the ergonomic load carriage benefits of the TopoFlex frame and harness system. 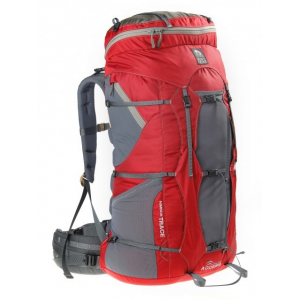 The Granite Gear Nimbus Core is not available from the stores we monitor. It was last seen June 6, 2015	at Sierra.